Bold360 ai reduced the Royal Bank of Scotland’s customer inquiry handling time by instantly serving up relevant information to agents. The artificial intelligence (A.I.) assistant helped agents “get it right in one shot,” which reduced operational costs and increased customer satisfaction. Royal Bank of Scotland (RBS) serves 1.8 million personal customers and more than 110,000 business customers who visit the company’s knowledge base 2.5 million times per month. Over 30,000 customer service agents are needed to answer the 650K to 700K questions they receive per month. Before turning to Bold360 ai, fielding this huge amount of customer inquiries was an entirely manual process, and any data from these interactions was captured in an Excel file. If an agent didn’t know the answer to a question, they would have to stop their workflow to speak to a team manager, and then return to the customer with an answer. This time on hold frustrated customers and translated into increased customer support costs for the company. RBS needed an intelligent knowledge management platform to help contact center agents resolve customer issues more efficiently. The company’s top strategic goals were: 1) focus on digital-first engagement and 2) reduce customer complaints. "You don’t need technical folks with coding experience to drive and support the product – a big plus compared to what we were using with a couple of other big vendors previously." RBS chose Bold360 ai to power their knowledge base because it instantly gives agents contextual information about the customer and presents relevant solutions to agents on-the-spot. Agents no longer had to remember answers to every question or place customers on hold to seek more information. RBS first implemented the solution in a sandbox testing environment to see how it works, and to build a critical mass of content that could be used in the real world. They utilized the platform’s labeling feature – a simple and straightforward way to organize content in the knowledge base. Using the labeling tool freed up time for management so they could focus on optimizing the type of content the company was creating. Since implementing Bold360 ai in September 2016, the platform has made many of RBS’s processes more efficient, ultimately increasing customer satisfaction. Contact forms are starting to be assigned and used by both product and marketing teams, which previously acted in silos. The Voices Dashboard aggregates customer feedback and clearly displays where the company needs to add content to the knowledge base. Now, customer service agents resolve issues faster and can focus on high-value areas of the customer experience. The best part? Implementation was so much quicker and easier than expected. A prior system had taken 9 months to set up, but with Bold360 ai, RBS was up-and-running and seeing reduced call handling time in merely 6 weeks. 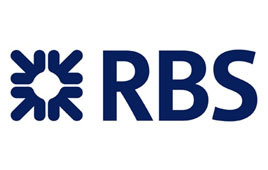 Because of the success achieved with the desktop deployment, RBS also rolled out Bold360 ai’s self-service chatbot on its mobile application. This reduced the load on agents and fed information back into their knowledge base, making the system smarter and more impactful.